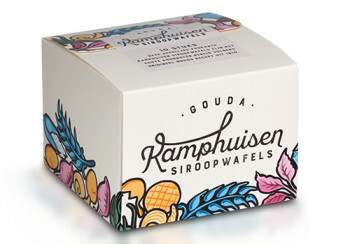 Authentic deluxe stroopwafels (siroopwafels) from Gouda, baked fresh following an old family recipe of the Kamphuisen family. 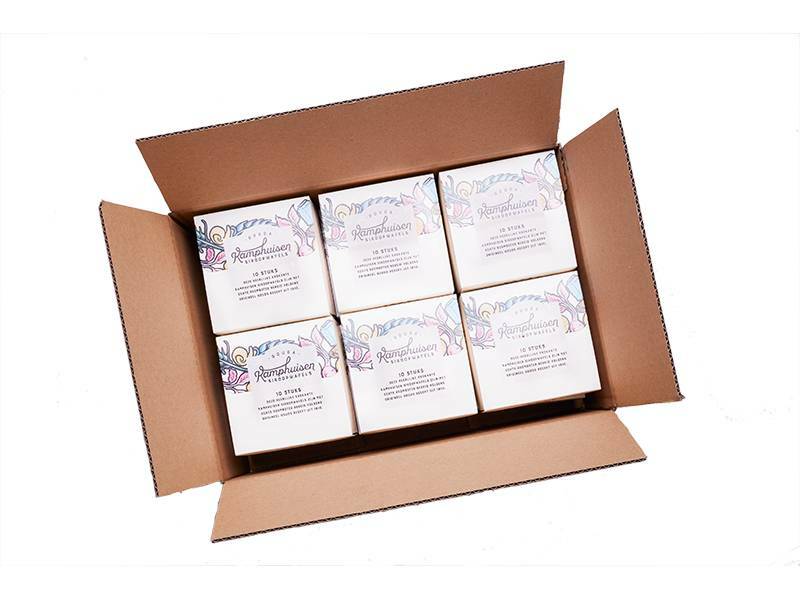 Each package of deluxe Kamphuisen stroopwafels is carefully wrapped in a gift box. Each gift box contains 10 fresh and crunchy waffles. Totally there will be 12 small boxes with each 10 stroopwafels. In their packaging, these Kamphuisen Stroopwafels will stay fresh for at least 6-7 weeks. These stroopwafels are baked fresh five days a week in Gouda. They are then shipped as soon as possible to you! We deliver in the Netherlands and internationally. 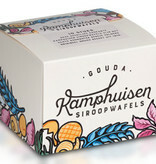 These Kamphuisen stroopwafels are a true favourite from Gouda!